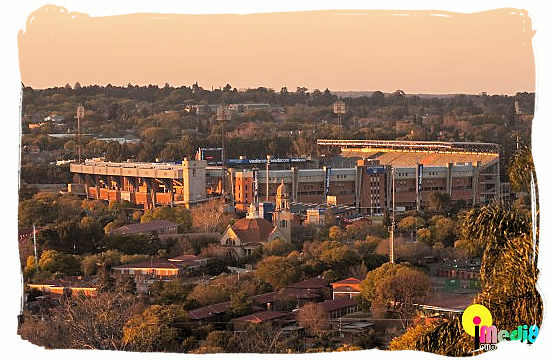 Unlike soccer, South African rugby in the beginning was not a well known sport to South Africans for a long time. 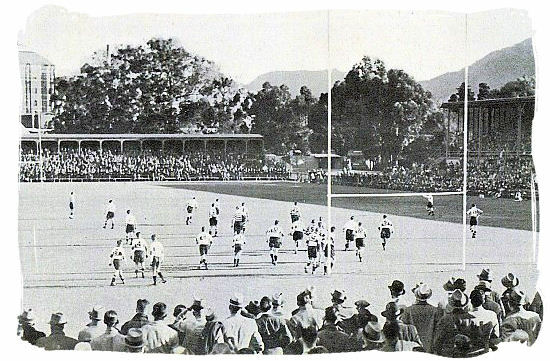 The game's beginnings can be attributed to Britain's control over South Africa from 1806, bringing imperial values and soon establishing British types of sports in the Cape. When Canon George Ogilvie (a former pupil of Winchester College in England) became headmaster of Diocesan College in Cape Town in 1861, he introduced the game of football, as played at Winchester College. 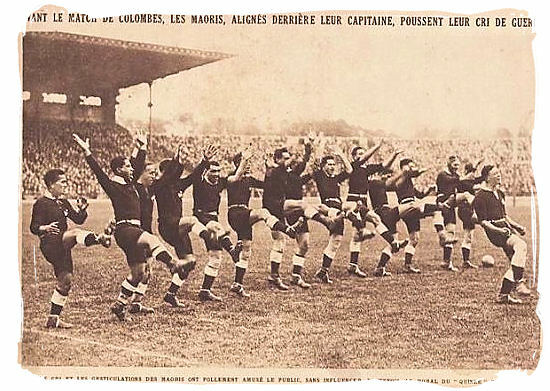 This was the kicking version, which also included a degree of handling and is seen as the beginnings of rugby in South Africa. In 1878 England international William Henry Milton arrived in Cape Town, where he joined the newly formed Villagers Club. Here he started playing and promoting the rugby (Handling version) type of football. 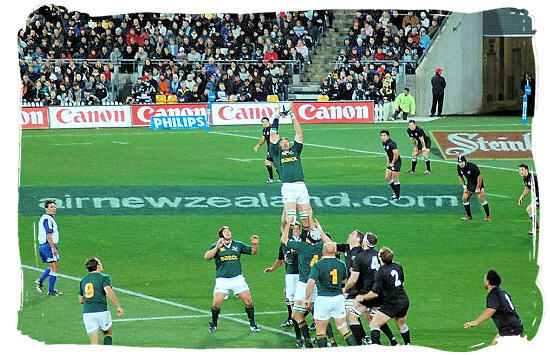 Soon Cape Town had all but abandoned the Winchester (Kicking version) game in favour of rugby. British colonists helped spread the game through the Eastern Cape, Natal and along the gold and diamond routes to Kimberley and Johannesburg. British troops would also play a key role in spreading the game throughout the country. 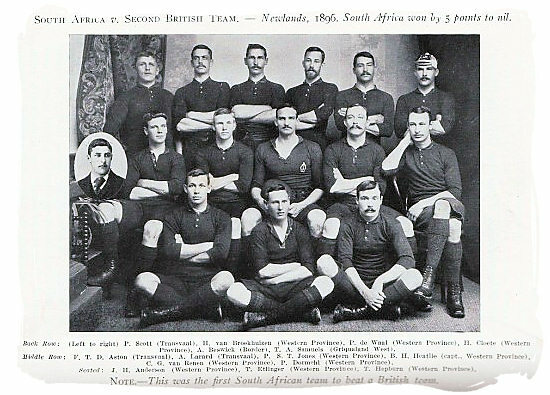 By 1889 the game was already well established, so much so that the South African Rugby Board had already been formed as the governing body. The first international match was between the Cape Colony and The British Isles in 1891. South Africa did not exist as a political entity until 1910. Nevertheless, these were the first representative games played by Cape Colony (“South African”) sides, which were still learning the game. The tourists played and won a total of twenty matches, conceding only one point in the process. 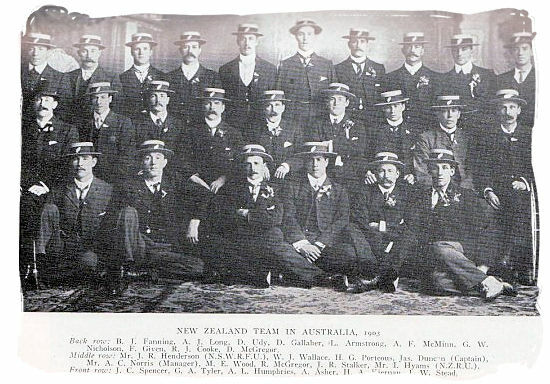 By 1896 the South African team was a side to be reckoned with, winning their first series at home in 1903 by drawing the first two matches and winning the last one by 8 - 0. South Africa would not lose another series, home or away, until 1956. The first tour away from home by the South Africans was in 1906 to the British Isles and France. The captain of that team was Paul Roos. They showed that they had become a side to be reckoned with. They played 29 matches, winning 27, drawing 1 with England and loosing 1 to Scotland. It was on this tour that captain Paul Roos coined the name Springboks for the first time, taken from the symbol on their jersey. Roos wanted to prevent the British journalists from inventing their own name. 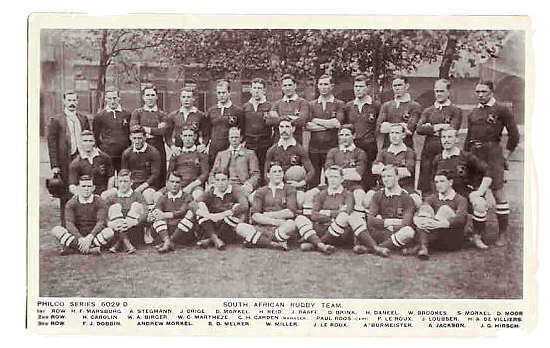 Since then the national South African rugby team became known as the “Springboks”. The Springbok is a well known type of antelope in South Africa and one of its national symbols.